You could be asking yourself "Do I require planning permission if I want to pave my driveway or garden?" Don't worry; you are not alone. Council requirements in Australia can be hard to understand. The council has set a number of guidelines and rules that one must follow when paving surfaces to comply with the building law. These apply to driveways, gardens, extensions and other paved areas. It is critical not to risk being on the wrong side of the law. Costly fines, years of disputes and notices to redo the work can be encountered. Therefore, we recommend to contract a professional construction company that will help you to meet council requirement. StoneSet is always available to guide and help you with all paving aspects and requirements. StoneSet focuses on permeable paving for all aspects- both commercial and domestic and existing and new landscape developments.. By using StoneSet services, you will be using an insured and licensed business whose work guarantees you are complying with council building laws and codes. 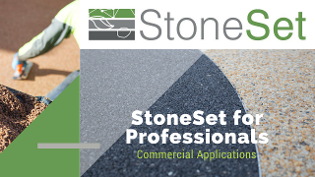 StoneSet has a paving policy that is reviewed annually to comply with new council requirements in Australia. StoneSet’s permeability policy that is strictly followed during construction helps in sustainable land use. With reduced land sizes and increased council requirements, StoneSet ensures that all your paving requirements are professionally dealt with. Contact StoneSet today for more detail.